James placed an order on our website late last night and noted he just needed a simple website to show to his customers. 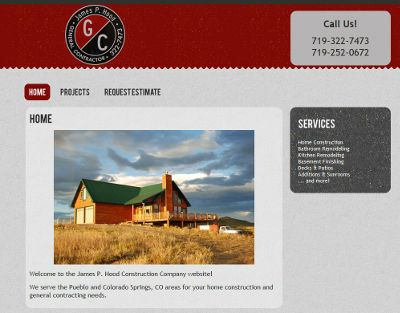 Upon getting the information from James, we worked on his site right away. He had a very simple need and didn’t need many features – just a contact form to allow customers to request an estimate. He also wanted to have some pictures put on the site of his previous work. We got his website up and running in about 18 hours from start to finish! We appreciate the business from James and hope that we have exceeded his expectations with our turn-around time. James’ website is at jamesphood.com.